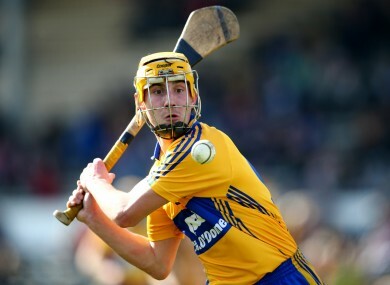 COLM GALVIN IS back in training with the Clare hurlers and is in contention to make his first National Hurling League appearance of the season against Waterford later this month. The former Allstar and 2013 All-Ireland winner has not featured for the Banner County since a four-point Munster Hurling League defeat to Cork in late-January and it was believed his absence was due to disciplinary reasons. But back in February, Galvin was crucial in Mary Immaculate’s Fitzgibbon Cup win and afterwards confirmed he would talk to Clare joint-managers Donal Moloney and Gerry O’Connor about his inter-county future. Galvin’s Clonlara team-mate Cathal ‘Tots’ O’Connell, whose last appearance also came against the Rebels two months ago, is back training with the senior panel too. Clare take on Waterford at Cusack Park in a crunch Division 1A battle in a fortnight’s time. Victory for either side will book their quarter-final place while a defeat may mean a relegation play-off. The Banner are currently second in the table, trailing the already-qualified Tipperary. Email “Colm Galvin returns to Clare fold and in contention for first league appearance of the season”. Feedback on “Colm Galvin returns to Clare fold and in contention for first league appearance of the season”.